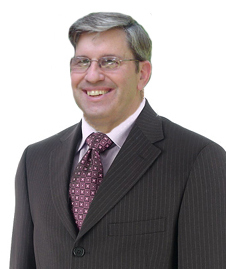 Hello, I’m Chuck Lytton, licensed broker and Realtor®. Chuck Lytton & Associates offers a variety of real estate services unequaled by our competitors. This website is divided into distinct areas, each showcasing the specific programs and services we deploy for our clients’ benefit. This includes separate areas or websites for Buyers, Sellers, Investment properties, Business Brokerage, Custom Homebuilding, Land & Homesites, and Home Maintenance. Please make yourself at home and feel free to click and browse. If you have a particular real estate need or if you’re a past client who just wants to say hello, I’m always reachable at 314-486-3563 or you can email me CLytton@ChuckLytton.com. While I’d like to take the sole credit for authoring that slogan at the top of the page, the truth is it was inspired by my customers. Each year, my volume grows as a result of repeat and referral business. And each year-end, when the statistics are compiled and they tally up the number of homes sold in St. Louis, I rank consistently in the top 10%.